With a weather-resistant fibreglass handle with cushion grips, multi-sweep bristles, the Quickie commercial-grade Multi-Surface Push Broom was built for powerful cleaning. It was designed specifically with soft outer fibres and stiff inner fibres to sweep a wide range of debris. This push broom is ideal for use in garages, basements and on sidewalks for sand, mulch, grass clipping and drywall. 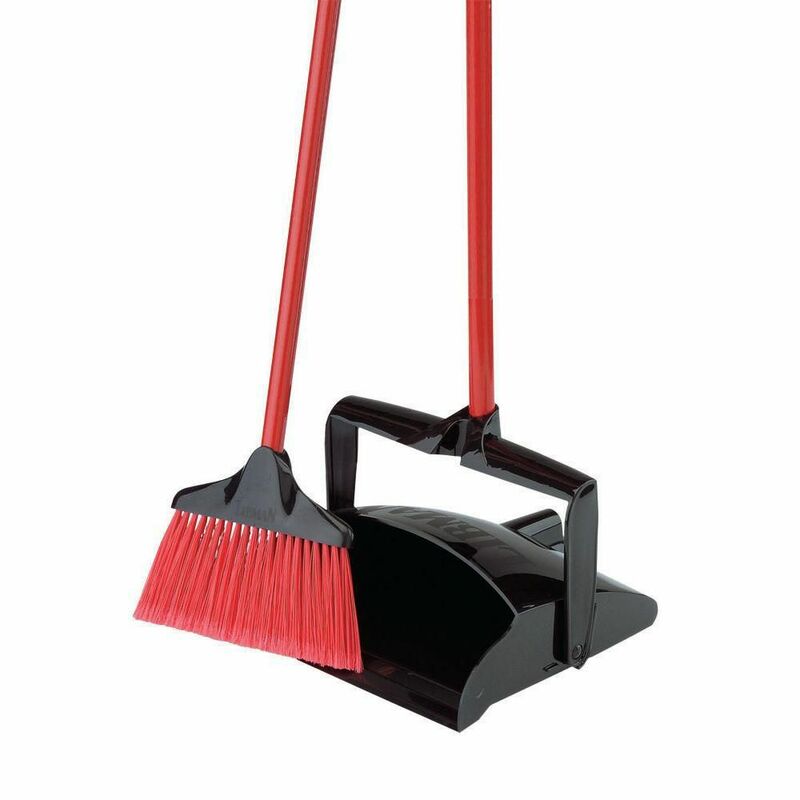 Lobby Broom & Dust Pan (Open Lid) A smaller sized lobby broom that is easy to use for quick pickups, such as in retail locations, parking lots and other locations that require sweeping up quickly and easily. Pivoting dust pan lies flat on floor for easy and quick pickups. Handle length is the same as the lobby broom so that no bending is required. Lobby Broom & Dust Pan (Open Lid) is rated 4.9 out of 5 by 8. Rated 5 out of 5 by Ron from Lobby Broom/Dust Pan Set This Libman broom set is the best on the market. Everyone needs one! Rated 5 out of 5 by Tina from "A Great Buy" This item is perfect for your everyday home use. I just love it. You can easily store it away. I would definitely purchase this item again. Rated 4 out of 5 by Pat from The broom and dust pan were up to expectations The broom and dust pan arrived in a timely order. It made shopping on line a breeze. Rated 5 out of 5 by jebbie1945 from It is a perfect item for quick pick ups.. I have tried many items like this. This is the best one I have ever had. Rated 5 out of 5 by Scooter from Just the right size for around the house This is a great product for cleaning up those spot messes around the house or outdoors. Rated 5 out of 5 by barbamom from Love this set So I bought this for the little broom for my grandson to play with...and my daughter to use the set in her kitchen. While ordering i also bought a set for myself. So glad I did! I sweep my very large kitchen, dinette, foyer into little piles with my regular size broom.... Then use this lobby broom and dustpan to pick up piles... Easy schmeasy!!! The pan portion lays flat to the floor. Emptying the pan is probably the only tricky part, but I love not having to bend over with my old dustpan. I would recommend to all my friends to get this set.